Immolate the lanes with the Columbia 300 Lit! 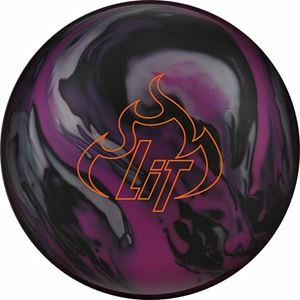 Featuring the brand new Lit Asymmetric core, the Lit brings an aggressive overall hook with its low RG/High differential ratings. Combined with HyperShock technology for maximum energy transfer, you can expect a dramatic motion with superior pin action on the deck. Combined with the all new Reflex XS solid coverstock sanded to a 500/2000 Abralon matte finish, the Lit will dig in and incinerate the competition throughout all parts of the lane.